Once you start delegating work, you’ll be able to spend less time and energy on those day-to-day tasks that need to get done. Instead you’ll be able to focus more on higher yielding tasks like sales and client relations. Those “wouldn’t it nice if I could” tasks that sit on your weekly wish list. Those are the things that are going to help you reach a whole new #girlboss level. You might spend more time on introducing slick processes to make projects run smoother and make your team look uber professional. Maybe you’ll develop something new to offer clients and blow your competition out of the water. Or you could use your newfound time to take a deep breath and take back control instead of living a chaotic life. 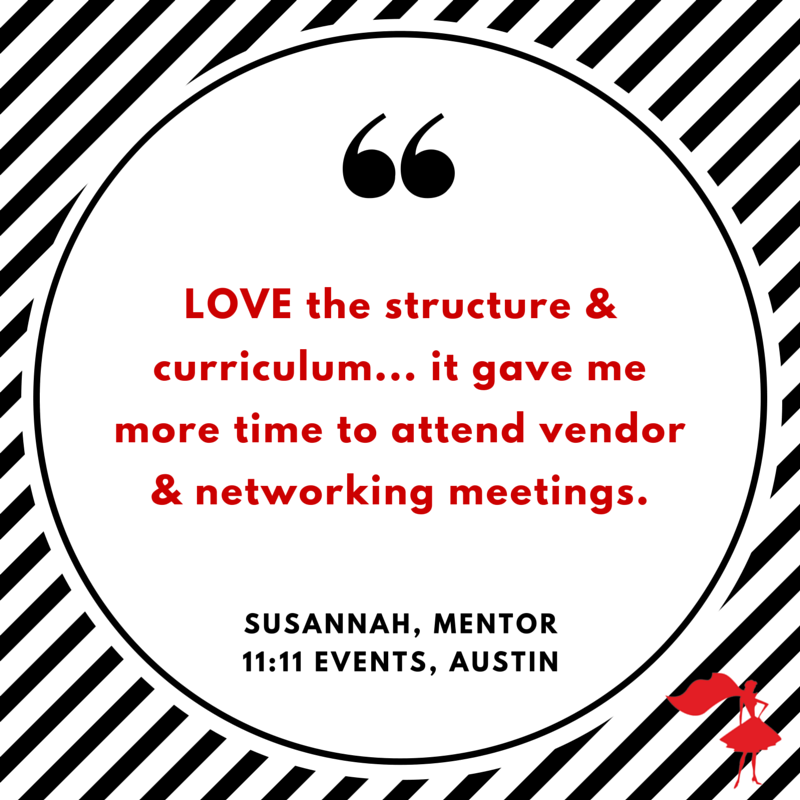 Since becoming one of The Apprentice Program’s mentors, Susannah is using the time she is saving making valuable contacts and building relationships at vendor and networking meetings. If you had more time, what would you do to develop your business and take your firm to the next level? Leave us a comment below!